Medical emergency teams in the city carried out disaster first aid and emergency skills training based on programs introduced from the United States. Local medical staff received training for a disaster response program introduced from the United States. 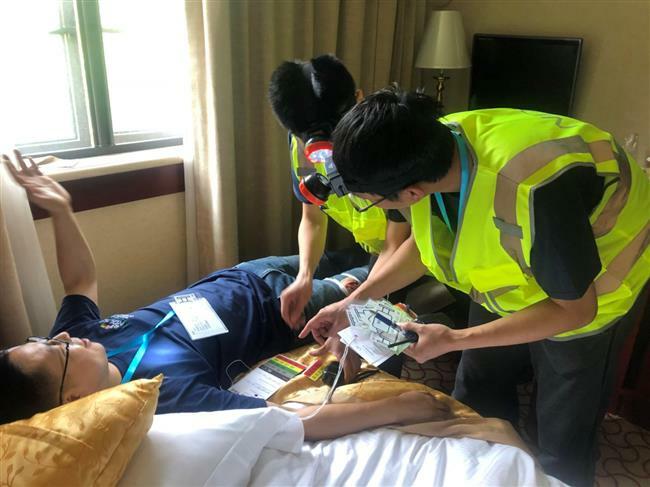 Medical emergency teams in the city carried out disaster first aid and emergency skills training and drills based on programs introduced from the United States. 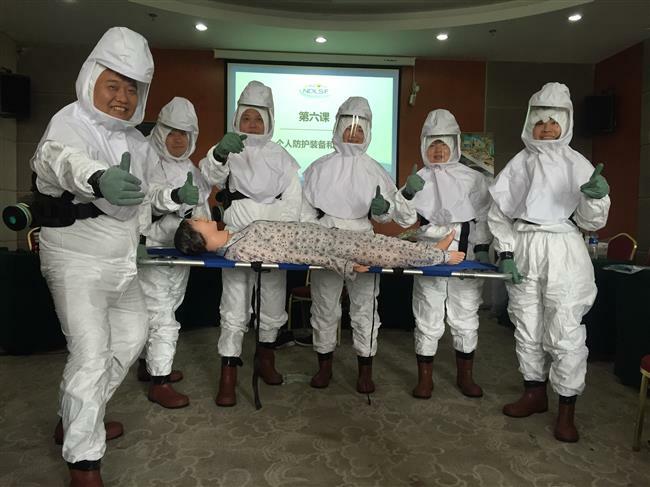 The training included public health during disasters, management under large casualties, staff arrangement and preparation and individual protection and disinfection. It was the first time that the program was introduced into China, said Dr Pan Shuming, vice president of Xinhua Hospital who introduced the program. Officials said the top threats to people currently are disaster, disease and accident. Over 200 million people suffer from various diseases in the nation every year, with over 100 billion yuan (US$15.65 billion) in losses. China has realized the importance of skill training for staff dealing with disasters, however there is no standardized training system. Previously, there was no large-scale research and standardized teaching program for disaster response and skills training in China. Introduction of the program can regulate and improve local staff’s abilities in dealing with disasters, officials said. Local medical staff received training for a disaster response program and life supporting skills introduced from the United States.